Her words echoed in the cavernous kitchen. Our drawn faces reflected in a glass breakfront across from the breakfast nook. I felt like an exhibit under glass in a museum, a still life called Four Women Hiding Out with Scotch. After reading Curses, Boiled Again! and contemplating this interview, I realized Shari Randall drew together elements, which, at first glance, seemed unrelated. But they complemented and enhanced the charm of this fast-paced novel. 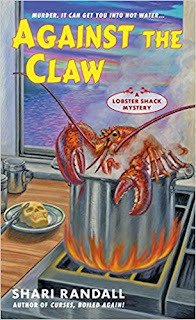 My thoughts roved among—lobsters, dance moves, Victorian keepsakes and language of flowers, cars, Scotch, mystery children, sibling rivalry, old-time movie stars, mermaidabilia, recipes—and ended with the realization that it’s been too long since I’ve eaten lobster! Curses, Boiled Again! 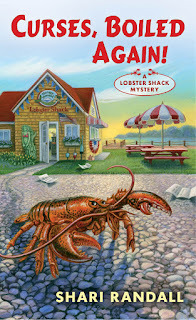 starts the Lobster Shack Mystery series. 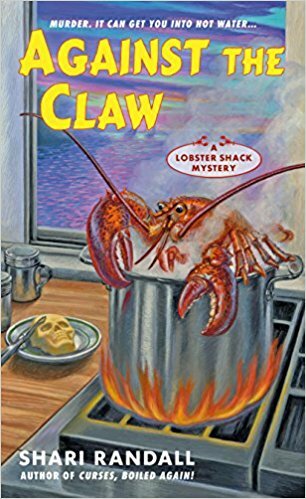 Against The Claw, the second novel in the series, will be released on July 31, 2018. 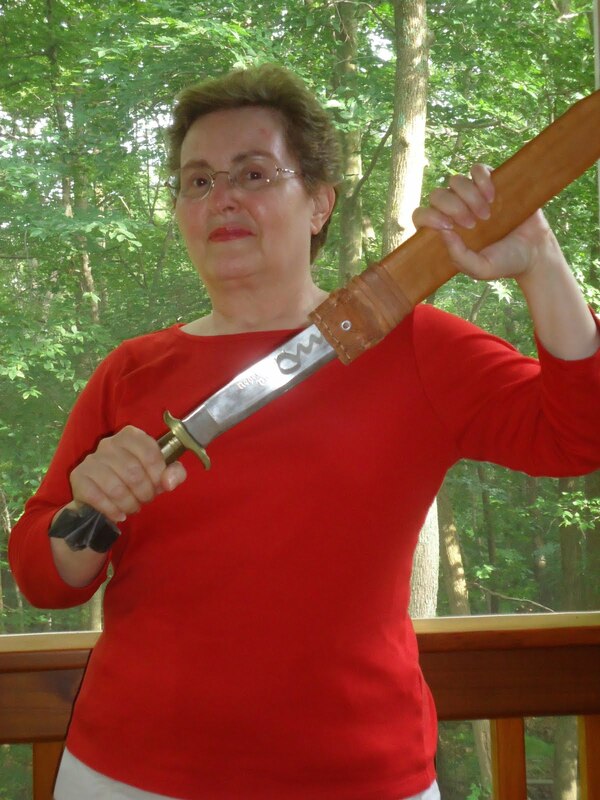 Please applaud WWK blogger Shari Randall in her debut as a newly published novelist! How did the deal come about? Did you write a proposal? Did you create the premise? Was your contract a three-book deal? Funny story. We moved from Virginia to Connecticut, and while we were house shopping we rented a rambling old place on the Connecticut shore that overlooked a tiny town called Noank. Noank has some fantastic lobster shacks, including two of my favorites, Ford’s and Abbott’s. Three days after we moved in, I got a call from my agent asking if I’d do a proposal for a series St. Martin’s wanted set in a lobster shack. I was standing on my front porch, and I remember turning around, looking to over the water to Noank, and thinking, this was meant to be! So I did the proposal, St. Martin’s liked it and gave me a three book deal. Did you think up the ridiculous and fun title? (I love the lobster’s perspective!) I wish I could take credit for this title but it’s straight from the publisher. I think someone at St. Martin’s cooked up the title and then decided that they needed a book to go with it. I gathered that Mystic Bay wasn’t too far from Boston, but is Mystic Bay based on Mystic, CT? You’re on to me! I live near Mystic, CT, and you will not find a more charming little town. Mystic Bay is my version, with shades of even more adorable little towns nearby which shall remain nameless because I don’t want them getting any more overrun with tourists than they already are. Allie (Allegra) Larkin, your main character, has been side-lined from her career in the ballet due to an ankle break, but unbelievably, it didn’t happen on the stage. What happened to Allie? Allie tripped and fell down the stairs of a house she shared with other dancers in Boston while carrying laundry to the washing machine in the basement. As everyone in the book says, how on earth does a ballerina manage to trip down the stairs? You’ll have to read Book Three to find out. Aunt Gully (Gina) Fontana opened the Lazy Mermaid Lobster Shack after her husband’s death. We learn that Aunt Gully (their father’s sister) helped raise the sisters when their mother died. How did Aunt Gully get her name? Unfortunately for those within earshot, Gully loves to sing. Her voice is reminiscent of a sea gull’s. What is mermaidabilia? 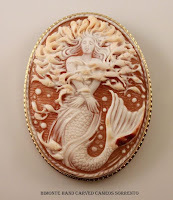 Mermaidabilia is what Aunt Gully calls her extensive collection of all things mermaid – jewelry, figurines, dolls, carvings, including a life-sized ship’s figurehead. 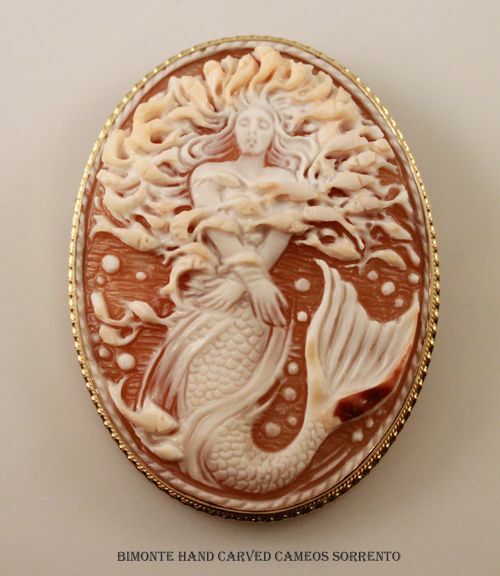 (BTW that mermaid cameo you found is spectacular!) She decorated her lobster shack with her collection and now her customers bring her mermaid souvenirs from all over the world. The YUM food network sponsors the contest of four restaurants’ lobster rolls to determine which has the best. The murder resulted from contamination of one restaurant’s sample lobster salad. All of the judges get sick, but only one dies—one who was old and frail and may not have been the intended victim. Allie not only has to figure out the identity of the murderer, but she must also figure out who was the target. You’ve made it doubly hard on your MC. Upping the ante for mystery writers? It’s funny. I remember the moment when I realized what I had done. Whoa! But that’s why we read mysteries, right? To untangle the clues and solve the puzzle. Just wait. My editor says Book Two has even more twists. Two sisters can hardly be more different. Allie is a ballet dancer, an artistic performer, and a people person. 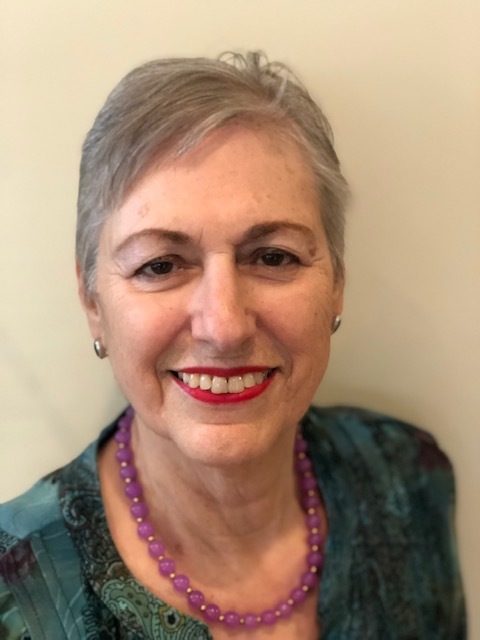 Sister Lorel (Lorelei) has a MBA and is more concerned about PR than about people. How do sisters, born in the same household with the same adults for guidance possess such different values? It’s the ongoing debate – nature vs. nurture. I’ve heard that birth order has a great effect on personality development also, and I’ve found that to be true. (I’m a middle sister.) In Allie and Lorel’s case, I wonder if Allie’s more imaginative temperament developed in response to her sister’s no-nonsense personality. I also wonder if it was inevitable that Lorel was going to be emotionally walled off since I did take her mother away from her when she was four years old. I still feel terrible about that. The funny thing about Allie and Lorel is they want the same thing – to help Aunt Gully’s Lazy Mermaid Lobster Shack succeed. They just go about it very differently. Allie’s best friend Verity Brooks owns Verity’s Vintage clothing store. The two share a love of old movies and the clothing and dance of those times. What does Verity’s 1962 DeSoto say about her personality? Verity is one of those people who was born in the wrong era. She sees herself as a sixties starlet, perhaps an Audrey Hepburn or Diana Ross. I have to say that I’m with her on cars, and especially on vintage clothes. The elegance, style, quality workmanship, and artistry of designer clothes from the fifties and sixties is breathtaking. Did you find cars to give readers insight into your characters’ personalities? What about Lorel’s BMW? Aunt Gully’s van? Allie’s no-car-at-all? I adore old cars – especially old muscle cars! And they can be so useful for characterization. I can’t imagine a go getter businesswoman like Lorel in anything other than a BMW. Aunt Gully has a practical mom mobile, of course. Allie’s no-car-at-all probably stems mostly from the fact that having a car in a city like Boston is more trouble than it’s worth. My daughter had an expensive, but short-lived purple phase. Do all little girls have a purple phase? A mermaid phase? An expensive purple phase? You’ll have to share that story! Little girls do have their phases – purple, mermaid, horse, dance. I had a dance phase and haven’t outgrown it yet. I’ve exercised with a barre, but what is “floor barre” and how does Allie practice with it? I had to do a lot of research on dancers’ rehabilitation, and I found lots of references to “floor barre.” It just means that the dancers do many of the same stretches they would normally do standing at the barre while they lie on the floor with weight off the injured limb. Part of my research included a visit to the Boston Ballet – they have an onsite physical therapy room with massage/PT tables, Pilates reformer machines, weights, and staff physical therapists and masseurs. 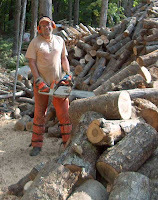 It’s a profession that is tremendously hard on the body. Most sleuths believe there is no such thing as coincidence. Allie wonders about the case, the timing of all the clues, but there are complications that may or may not have anything to do with the murder. Do you believe there is no such thing as coincidence? I believe that all kinds of crazy things happen every day. Having said that, too many coincidences in a mystery frustrate me, frustrated Allie, and I think, can frustrate the reader, also. The victim, old actress and dancer Contessa Wells, and her sister Juliet live in a huge old house in Mystic Bay. Verity has been asked by Juliet to buy Contessa’s wardrobe for her vintage clothing store, a chance she jumps at. Allie and Verity see a portrait of the two sisters as youngsters. Each sister’s picture is bordered with a braid of hair. What was hair art? The Victorians were fascinating, weren’t they? They would often weave jewelry or other decorative objects from their hair or the hair of loved ones as a way to remember them. Many pieces were made to remember deceased loved ones – the Victorians were obsessed with death – after all, infant and child mortality was extremely high at that time. But friends would also exchange a lock of hair or hair jewelry. Travel was difficult and friends and family often parted from each other knowing that they truly would never see each other again, so the hair jewelry or object was a tangible remembrance. Queen Victoria was known for passing down her hair jewelry to her grandchildren. Creepy and fascinating! What is a lachrymatory, and whatever were they used for? A small vessel, sometimes found in Greek or Roman tombs, to hold tears. I think they believed that tears had special magical powers (just like in the Harry Potter books). As usual, the Victorians, who had made mourning into an art form, adopted these ornate little bottles. I simply cannot imagine trying to collect my tears, but there you go. 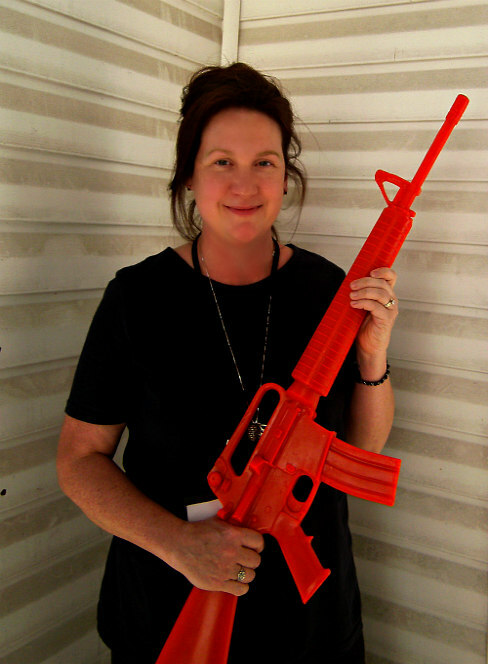 Aunt Gully claims that “Happy lobsters are delicious lobsters.” She won’t accept culls or sleepers. What are they? How does she know which lobsters are happy? Aunt Gully connects with lobsters on a level that mystifies everyone. As a matter of fact, she insists on singing to the lobsters to keep them happy as they become a lucky tourist’s lunch. Culls are lobsters that have lost a claw. They can be okay to eat when you’re not worried about presentation. Sleepers, however, are lobsters that are sluggish. They’ve been stored too long and are close to death. Aunt Gully would never serve one. What’s next for Allie? Poor Allie! My concept for this series was Murder, She Wrote with a protagonist who could do her own stunts. A dancer fit the bill, but I had to find a way to get her to Mystic Bay – thus the broken ankle. She’s healing slowly and starting to enjoy sleuthing, so stay tuned. 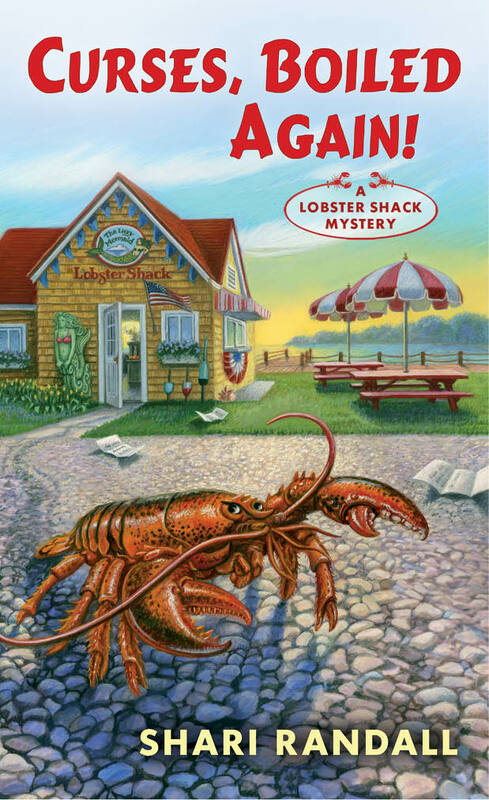 She’ll be staying in Mystic Bay for at least two more books helping Aunt Gully make the perfect lobster roll, and …… No spoilers! 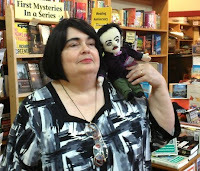 How does it feel to be a full-fledged mystery author, Shari? Ha! I’m not sure I’m there yet though holding my first novel in my hands does feel great. 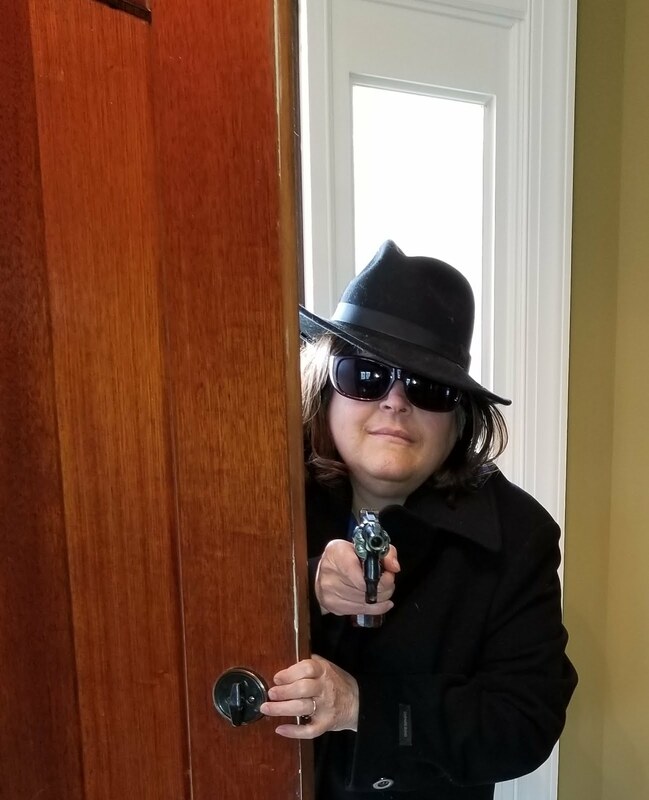 Actually, I can remember one time when I truly did feel like a full-fledged author – when you asked me to be part of this blog after I published my first short story in Chesapeake Crimes: This Job Is Murder. That meant the world to me. Thank you, E. B.! Congratulations, Shari. You’ve picked an intriguing protagonist, staffed the story with a bunch of interesting characters, and staged it at a location people will love. I predict all the best for you and your series. Great interview. Congratulations once again on creating such a wonderful character and world for readers to lose themselves in. I'm just thrilled for you, Shari! Hi Barb, I'm so thrilled too and so grateful for your keen editor's eye. It was so cool to be interviewed by EB Davis - she's the best. Thank you! Great interview! And as others have said, great interviewer too! Looking forward to your event tonight as well! Congratulations, Shari. Getting a book published couldn't happen to a nicer or more hard-working person. I loved the book and really look forward to reading all the books in your series. Congratulations and wishing you much success with the series. Curses! was a fun read, Shari. I know you'll have them coming back for more. Congratulations! I'm looking forward to getting my copy & reading this! Congratulations. Couldn't happen to a more deserving person. Enjoyed the interview! Congratulations Shari, I can’t wait to read more! Congratulations, Shari. Nice interview. I can't wait to read your book. Hi Art, Always great to see you! I’ll look forward to it! Hi Grace, I’m so happy that you liked it! Thank you for taking the time to read it! Hi Margaret, thank you so much! Hi KM, thank you so much! Hi Marcie, thanks so much! Hi Gloria, EB is a terrific interviewer. I hope you’ll like Curses! Congratulations! It sounds like the perfect book for you to write. Also sounds like you've done it well. It looks great. I wish you much success with all three. Congratulations, Shari! Great interview. I’m looking forward to reading Curses! Great interview, Shari. Best of luck with your series. Hi Kaye, Thank you very much for your kind words! Hi Kara, Thank you! Hope you enjoy it! Nice to see you here. I hope all's well with you. Hi Polly, Many, many thanks!